"Reclamation Exercise" Eco Art exhibition set up. 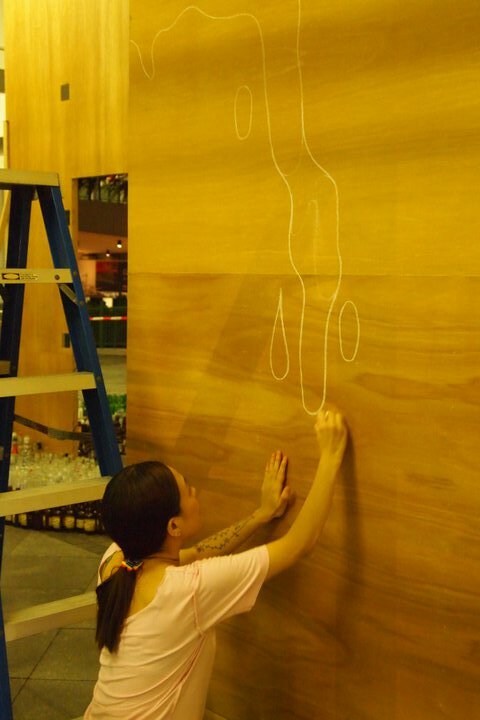 Under the social pattern of “Production---Consumption”, Arts in Hong Kong tend to consider the end product of artistic creation (art piece) as the main objective in creative arts. This creation habit will easily lead to production in excessive waste without conscious, creating rubbish and cause damage to the environment. As regard the Eco Art, it is rarely-known and hardly mentioned in the public. “Arts” seems to have become a shield for damaging the environment or producing waste. EcoArt by international definition must meet some specific creation criteria: the concept of creation should be based on self-examination of environmental and ecological balance, to minimize the damage and consumption, the creation process is documentary or open to public to ensure transparency, can continue to develop in nature and address the conservation issues. Based on a desire to nature, the two artists – Seeman Ho and Yuen Hon Wai become the “recycle workers” in order, to gain experience in local recycling industry. The materials used in artistic creation mainly come from recycling: 7000 thrown-away glass bottles(provided by Green Glass Green), waste material from large-scale stage theater, old newspapers, worn clothes etc., and then to decompose, recycle and reform them. 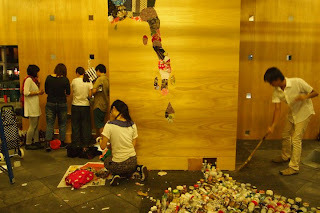 After this exhibition, some of the materials will continue with their “recycling” mission, keep on to be reused and continue to be developed. 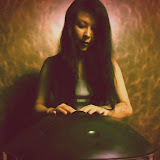 “Reclaim” --- is the creation concept for the whole exhibition. In order trying to visualize the word “reclaim” and interact with the venue, the entrance and exit are in the same location under a circular zone so that the viewer must walk in a circle path, the Mandala-like circle simulates a delicate dimension between “macro/infinite big universe” and “micro/inner-side small universe”. The small universe within the circle demonstrates several forms of human livings. In the gigantic recycling system of the universe, a human being naturally interacts with each other. We do not have an individual living form here, people can choose to share with others and bless with every moment. “I take something from you and you take something back from me”, back and forth and could only be a continue process . 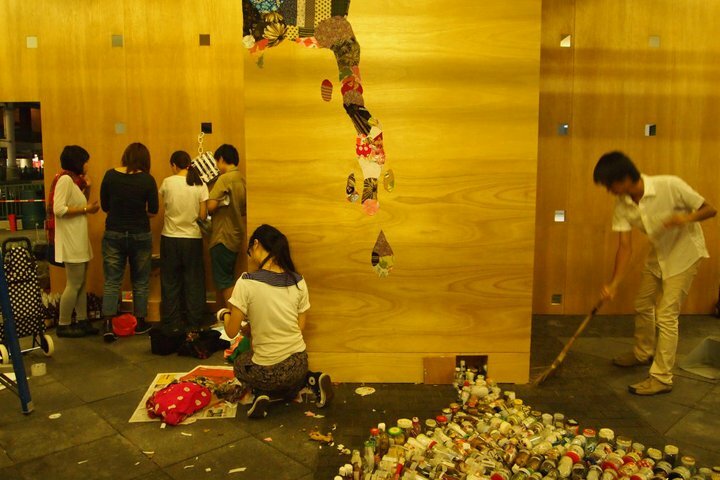 A few hundred artists using their artistic works in the form of glass bottle, genuinely “respond to the exhibition”, reexamining those which have been thrown-away. Artists of Sound Arts collect those beautiful sound and give live performance to natural music, interact and improvise with the dancers which will run through the whole exhibition, allowing us to observe and hear various kind of sound and movements in our city.